HINTON BATTLE ---- Three-time Tony Award - NAACP Image Awards - Fred Astaire Awards - Ira Aldridge Awards - Choreographer Media Honors - Planet Connection Award - Midtown International Theatre Festival Award - 2012 Champion of the Arts Award - 2014 Amas Rosie Award for lifetime achievement and extraordinary accomplishments. 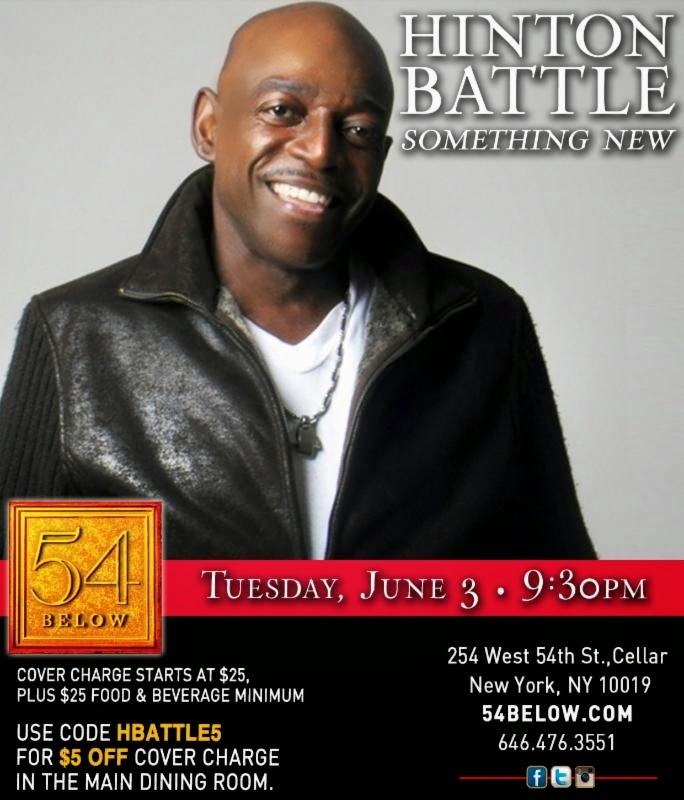 This proficient and highly talented Mr. Battle begins a new chapter in his always-evolving career with the release of, HINTON BATTLE SOMETHING NEW. Battles pays homage to jazz leaders like Dizzy Gillespie, Miles Davis, Duke Ellington, Nat King Cole, and others. Joined on this musical journey by musicians - Musical Director Lee Pearson: Drums, Assistant MD Terry Brewer: Piano, Romeir Mendez: Bass and Chloe Arnold: Tap Dancer. "Hinton Battle meets Count Basie Orchestra"